Leominster workers are hurt on the job or made sick by their jobs each year. The types of injuries or illnesses that are common vary depending on the industry. For example, industries that involve manual labor, such as construction or mining, often witness catastrophic, acute injuries, while white-collar jobs tend to lead to repetitive stress injuries like carpal tunnel syndrome. If you suffer from a job-related illness or injury, the Leominster workers’ compensation lawyers at Pulgini & Norton may be able to help you secure the workers' compensation benefits that you need. You should let your employer know that you have a work-related injury or illness as soon as you become aware of the connection between the two. If you delay in notifying an employer, it may raise a red flag to the insurer that there could be other circumstances besides work that resulted in the injury or illness. Most workers in Massachusetts can obtain workers' compensation benefits for occupational injuries and illnesses. You should seek medical care as soon as possible, since prompt medical treatment can lessen the likelihood of a prolonged or permanent disability in many cases. However, for your first scheduled visit, your employer can ask you to see a specific doctor who is in its preferred provider arrangement. After that, you can select a doctor once without getting permission from the insurer. You will want to notify the doctor that the injury or illness is likely occupational. Your employer should let its insurer know about your injury or illness. The insurer provides a claim number or card that will allow your doctor to directly bill the insurance company rather than you. There are guidelines that a doctor billing a workers' compensation insurer should follow related to reasonable and necessary medical treatment. They may need to get pre-approval for various procedures. In addition to medical treatment, you are entitled to be reimbursed for any medical miles that you travel and prescriptions that you need for the occupational injury or illness. You may also be able to obtain disability benefits that are either permanent or temporary. The payments may be for a disability that is partial or permanent. 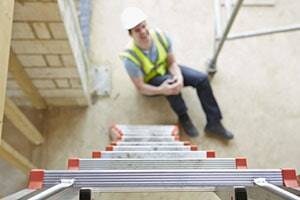 For example, if you are involved in a collapsed scaffolding accident and suffer a traumatic brain injury, you may need permanent disability benefits — benefits that last for the rest of your life. These payments are two-thirds of your average weekly wage. On the other hand, if you slip and fall on a machine shop floor and break your ankle, but there are some tasks that you do that are sedentary, you may need only temporary partial disability benefits for a certain number of weeks. If you are disabled as a result of an occupational injury or illness, the insurer should start sending you weekly benefit checks within 3-4 weeks. Many claimants have a false sense of security because they are receiving checks, and they assume that the insurer has accepted liability and will continue paying them. However, the first 180 days are a pay without prejudice period. The insurer is likely still investigating your claim and deciding whether it has liability. You may be worried that filing a workers' compensation claim will affect your ability to get a job later. However, there are safeguards in place to minimize that risk. A prospective employer is not supposed to ask about your workers' compensation history prior to making a conditional employment offer. Although they can ask about this history through a true medical inquiry that is required for all applicants to that type of job, they cannot ask it only of you, and they cannot require a medical exam because you disclose a prior occupational injury or illness, unless all job applicants for the same category of job are required to undergo the exam. Located in Worcester County, Leominster is the second-largest city in the county. It has a population of over 40,000 residents. Over the course of the city's history, the comb and manufacturing industries have been particularly strong in Leominster. If you need to file a claim for benefits, you should consult the skillful Leominster workers’ compensation attorneys at Pulgini & Norton. For a consultation with a workplace accident lawyer, contact us online or call us at 781-843-2200.